TV STAR, stand-up comedian and former deputy headmaster Jim Bowen has passed away, aged 80, with his wife Phyllis by his side. 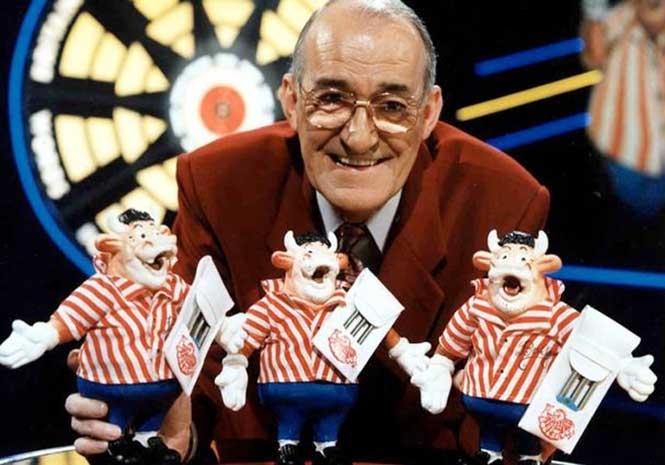 The television personality was best known, for hosting the TV darts gameshow Bullseye in the 1980s and1980s that regularly attracted 12million viewers. He was famous for his catchphrases including ‘super, smashing, great’, ‘look what you could have won’ and ‘stay out of the black and into the red, nothing in this game for two in a bed’. Family friend John Pleus, said, “He passed away very peacefully. “It wasn’t completely unexpected, he’s been ill for several weeks in hospital. Next articleMarket day was never without the usual ‘bombing’!